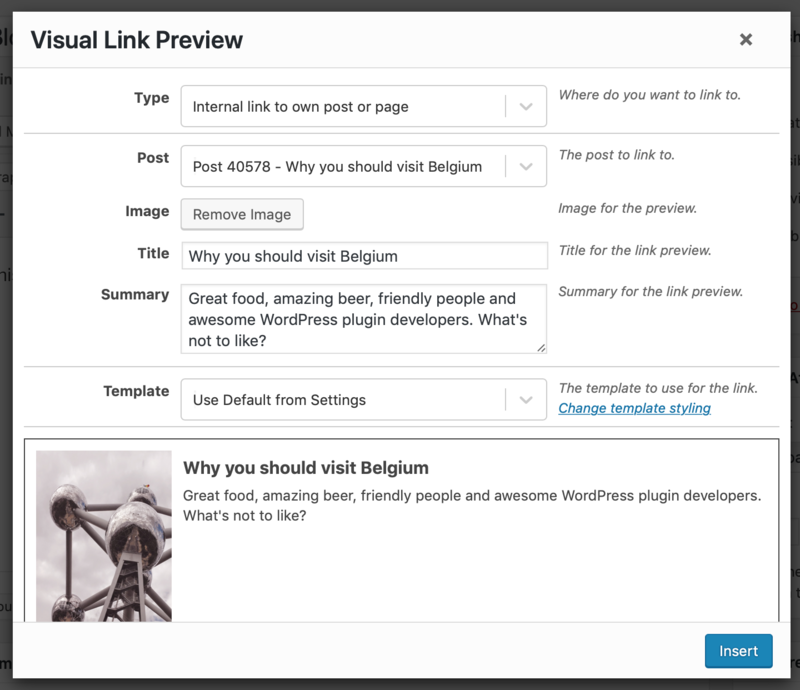 When creating a post or page, click on the + icon and search for the Visual Link Preview block (or even faster, just type /vlp) to add it. The next step is to select what you'd like to link to. This can be a post on your own website or a link to any other website at all. 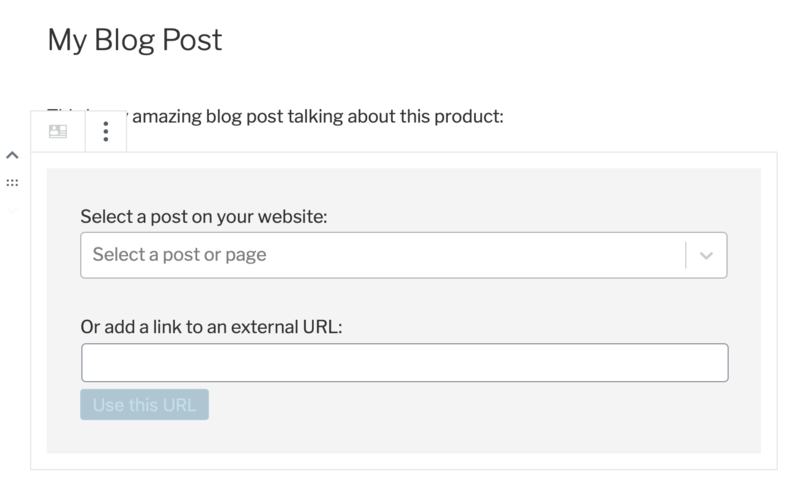 For an external site, just paste in the link and press ENTER or click on the button. At this point, the plugin will try to fetch an image, title and summary from that post or link for your convenience. Once finished you'll see the suggested link preview and can make changes in the sidebar to the right. The image, title, summary and template can all be changed to whatever you want. Did you choose the wrong link? Just click on "Change Link" to go back to the previous step. When editing a post, click on the Visual Link Preview icon in the visual editor. 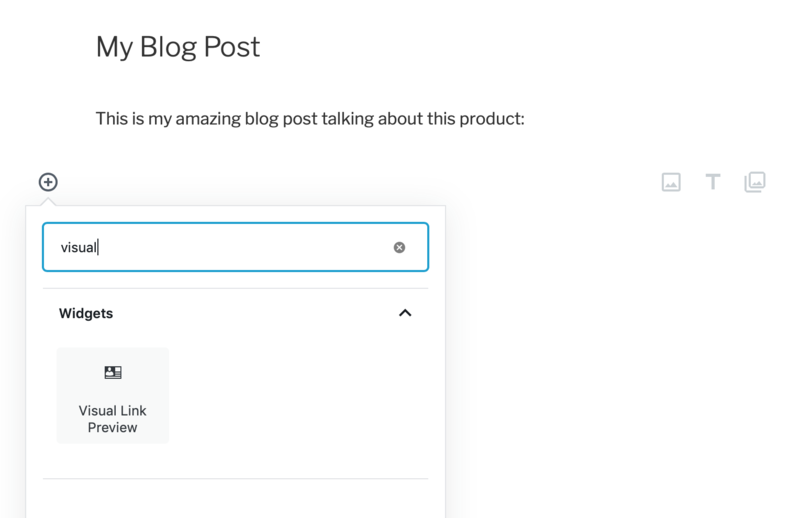 Fill in the modal that shows up and click the insert button to add it to your post. 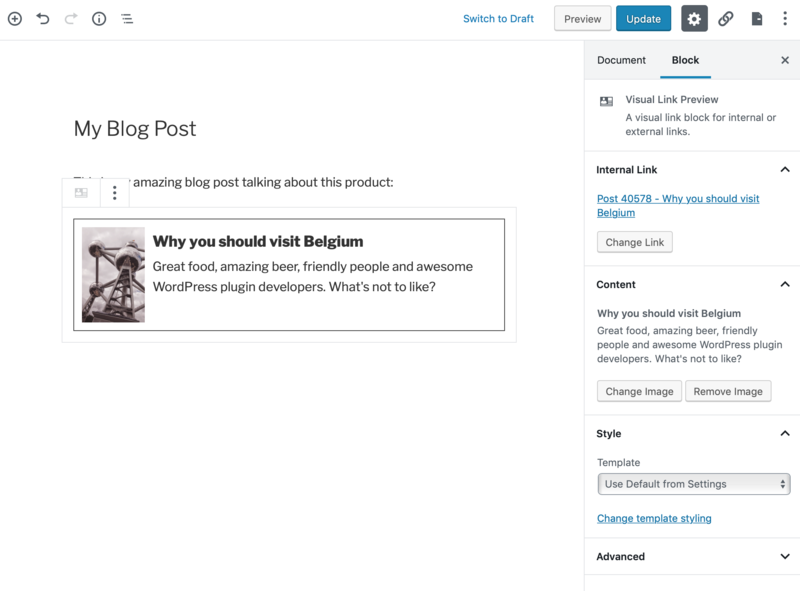 After adding it to your post you can edit a visual link by clicking on it.